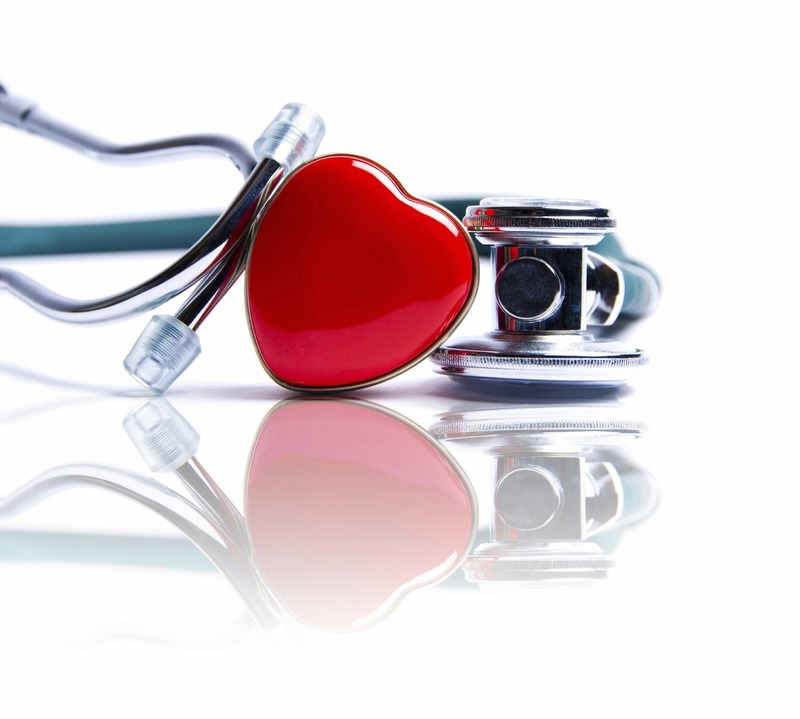 In February, institutions around Lexington will celebrate Heart Month with activities that promote healthy habits such as exercise, smoking cessation, stress reduction and improved diet. 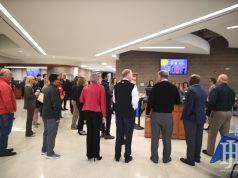 UK HealthCare’s Gill Heart Institute will focus on ways to make your diet more heart-healthy with a celebration and information about simple ingredient substitutes that can make your transition to a healthy diet easier. 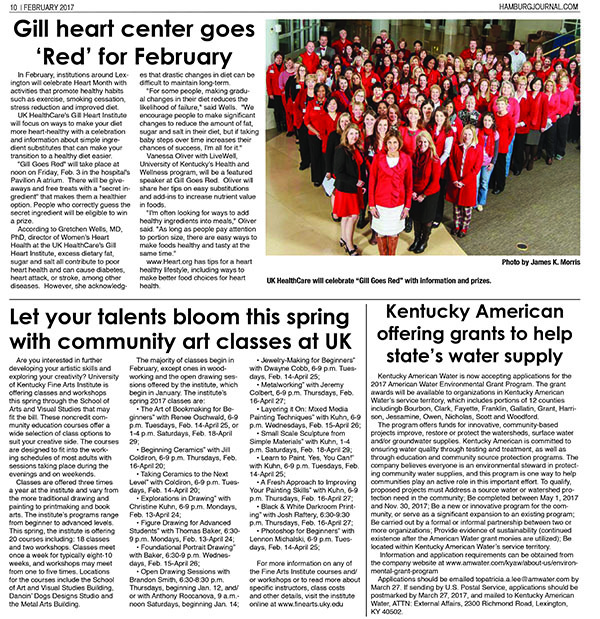 “Gill Goes Red” will take place at noon on Friday, Feb. 3 in the hospital’s Pavilion A atrium. There will be giveaways and free treats with a “secret ingredient” that makes them a healthier option. People who correctly guess the secret ingredient will be eligible to win a prize. 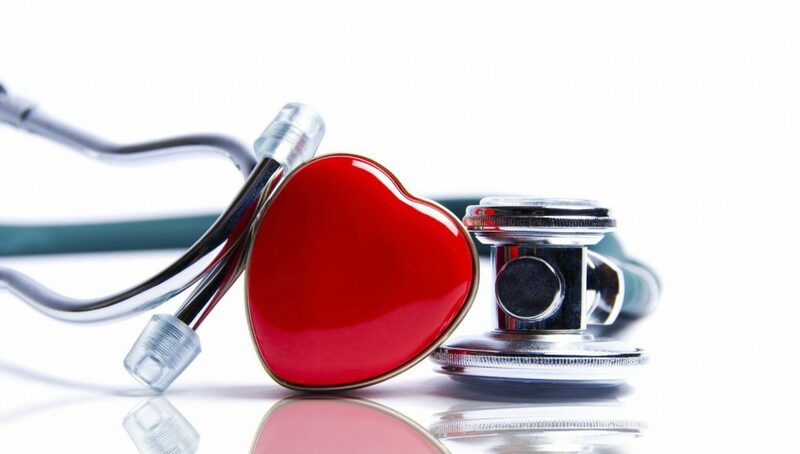 According to Gretchen Wells, MD, PhD, director of Women’s Heart Health at the UK HealthCare’s Gill Heart Institute, excess dietary fat, sugar and salt all contribute to poor heart health and can cause diabetes, heart attack, or stroke, among other diseases. However, she acknowledges that drastic changes in diet can be difficult to maintain long-term. 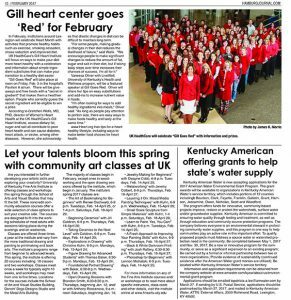 Vanessa Oliver with LiveWell, University of Kentucky’s Health and Wellness program, will be a featured speaker at Gill Goes Red. Oliver will share her tips on easy substitutions and add-ins to increase nutrient value in foods. www.Heart.org has tips for a heart healthy lifestyle, including ways to make better food choices for heart health.